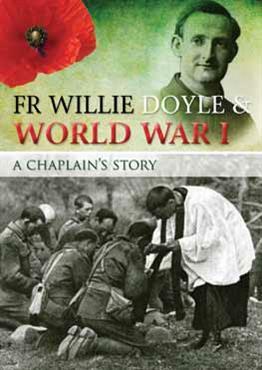 The events of August 6 1917 in Fr Doyle’s own words. 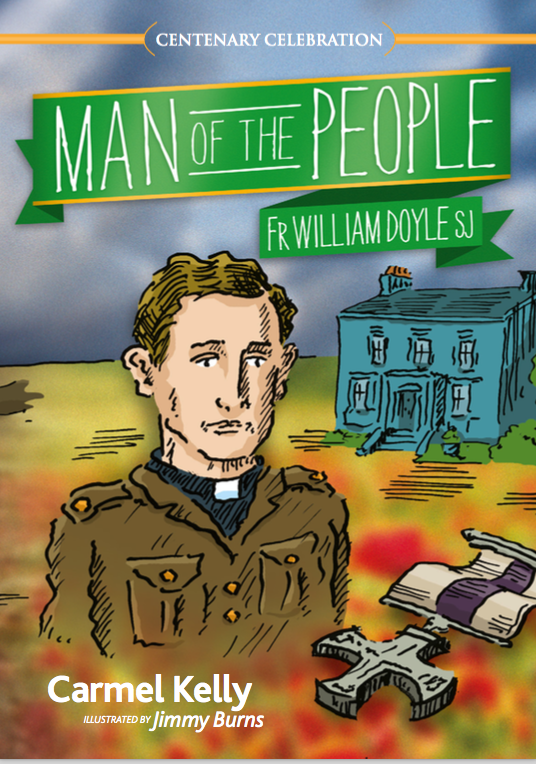 In particular today we note Fr Doyle’s devotion to the Mass. The following morning, though the Colonel and other officers pressed me very much to remain with them on the ground that I would be more comfortable, I felt I could do better work at the advanced dressing-station, or rather aid-post, and went and joined the doctor. It was a providential step and saved me from being the victim of an extraordinary accident. 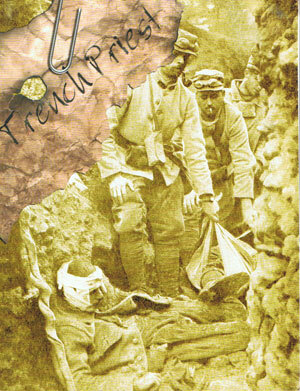 The following night a shell again rushed into the dug-out severely burning some and almost suffocating all the officers and men, fifteen in number, with poisonous fumes before they made their escape. Had I been there, I should have shared the same fate, so you can imagine what I felt as I saw all my friends carried off to hospital, possibly to suffer ill effects for life, while I by the merest chance was left behind well and strong to carry on God’s work. I am afraid you will think me ungrateful, but more than once I almost regretted my escape, so great had been the strain of these past days now happily over. For once getting out of bed was an easy, in fact, delightful task, for I was stiff and sore from my night’s rest. My first task was to look round and see what were the possibilities for Mass. As all the dug-outs were occupied if not destroyed or flooded, I was delighted to discover a tiny ammunition store which I speedily converted into a chapel, building an altar with the boxes. The fact that it barely held myself did not signify as I had no server and had to be both priest and acolyte, and in a way I was not sorry I could not stand up, as I was able for once to offer the Holy Sacrifice on my knees. It is strange that out here a desire I have long cherished should be gratified, viz. : to be able to celebrate alone, taking as much time as I wished without inconveniencing anyone. I read long ago in the Acts of the Martyrs of a captive priest, chained to the floor of the Coliseum, offering up the Mass on the altar of his own bare breast, but apart from that, Mass that morning must have been a strange one in the eyes of God s angels, and I trust not unacceptable to Him. Returning to the dressing-station, I refreshed the inner man in preparation for a hard day’s work. You may be curious to know what an aid-post is like. Get out of your mind all ideas of a clean hospital ward, for our first aid dressing-station is any place, as near as possible to the fighting line, which will afford a little shelter: a cellar, a coal hole, sometimes even a shell-hole. Here the wounded who have been roughly bandaged on the field are brought by the stretcher bearers to be dressed by the doctor. Our aid-post was a rough tin shed built beside a concrete dug-out which we christened the Pig Sty. You could just crawl in on hands and knees to the solitary chamber which served as a dressing room, recreation hall, sleeping apartment and anything else you cared to use it for. One could not very well sit up much less stand in our chateau, but you could stretch your legs and get a snooze if the German shells and the wounded men let you. On the floor were some wood-shavings, kept well moistened in damp weather by a steady drip from the ceiling, and which gave covert to a host of curious little creatures, all most friendly and affectionate. There was room for three but as a rule we slept six or seven officers side by side. I had the post of honour next the wall, which had the double advantage of keeping me cool and damp, and of offering a stout resistance if anyone wanted to pinch more space, not an easy task, you may well conclude. I spent a good part of the day, when not occupied with the wounded, wandering round the battle-field with a spade to bury stray dead. Though there was not very much infantry fighting owing to the state of the ground, not for a moment during the week did the artillery duel cease, reaching at times a pitch of unimaginable intensity, I have been through some hot stuff at Loos, and the Somme was warm enough for most of us, but neither of them could compare to the fierceness of the German fire here. For example, we once counted fifty shells, big chaps too, whizzing over our little nest in sixty seconds, not counting those that burst close by. In fact you became so accustomed to it all that you ceased to bother about them, unless some battery started strafing your particular position when you began to feel a keen personal interest in every new comer. I have walked about for hours at a time getting through my work, with crumps of all sizes bursting in dozens on every side. More than once my heart has nearly jumped out of my mouth from sudden terror, but not once during all these days have I had what I could call a narrow escape, but always a strange confident feeling of trust and security in the all powerful protection of our Blessed Lord. You will see before the end that my trust was not misplaced. All the same I am not foolhardy nor do I expose myself to danger unnecessarily, the coward is too strong in me for that; but when duty calls I know I can count on the help of One Who has never failed me yet. 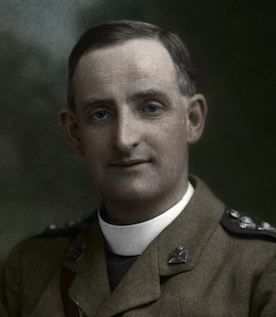 I celebrated Mass this morning in St Brigid’s, Blanchardstown and offered it for the repose of the soul of my great-uncle Lawrence Dowd who was killed near Ieper on this date in 1917. 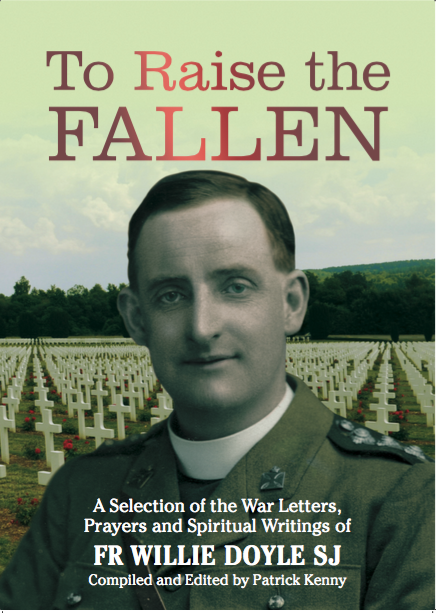 I read part of Father Willie’s letter above about celebrating Mass kneeling down and one or two other extracts from ‘To Raise the Fallen’. After Mass a woman approached me and told me that she was distantly related to Father Willie. Fr Laurence Kettle OFMCap, on home leave from Korea, was waiting for me also. He is a great-nephew of Tom Kettle, killed near Ginchy on 9 September 1916 during the Battle of the Somme. Father Willie served there at that time, I think. 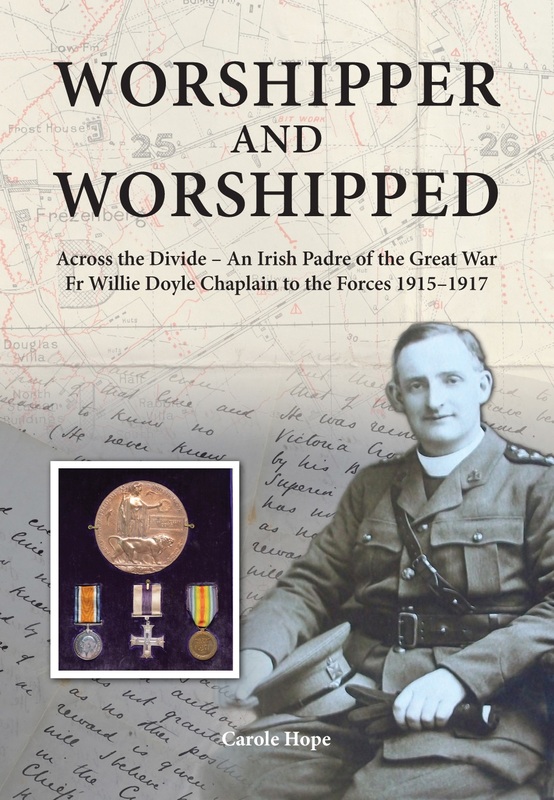 Very likely he ministered both to Tom Kettle and to my great-uncle Lawrence Dowd. 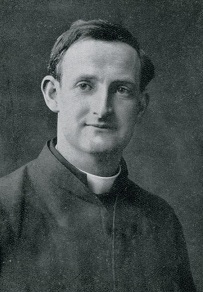 I see Father Willie’s ministry as a priest in those awful circumstances as a form of ‘Transfiguration’, revealing the presence of a loving God to the poor men caught up in the war, especially in their last moments. PS I introduced Father Willie’s relative and Fr Laurence Kettle to each other.